"I'm wishfully imagining there's a documentary somewhere called 'The LA Rebellion' that runs all of this down with style." Director Zeinabu irene Davis' Creative Statement: "Spirits of Rebellion documents the lives and work of a small group of critically acclaimed, but as of yet relatively unknown group of black filmmakers and media artists known as the Los Angeles Rebellion, the first sustained movement in the United States by a collective of minority filmmakers that aimed to reimagine the production process so as to represent, reflect on, and enrich the day to day lives of people in their own communities. All of the filmmakers associated with this movement attended UCLA between the “Watts riots” of 1965 and the “urban uprising” in Los Angeles that followed the Rodney King verdict in 1992, but black film students at UCLA and beyond continue to look to this group of filmmakers for inspiration, filmmaking advice, and practical guidance. Independent filmmakers, grassroots media makers, and various media artists in the US have found the example of the LA Rebellion School of Filmmakers to be an inspiring example of commitment to the medium of film as a tool for imaginative art and transformative storytelling. Following from the Ethnocommunications Program at UCLA (1968-1972), an experimental affirmative action initiative which created a space for ethnically Latino, Asian, Native American, and African students to collaborate on the production of films, student filmmakers of color remade the university and production process in ways that addressed their shared, though rarely discussed, sense of how to work together and why it was important to make films. Headlined by Julie Dash, Charles Burnett, Haile Gerima, Billy Woodberry, Barbara McCullough, Ben Caldwell, and Larry Clark, the LA Rebellion filmmakers collectively imagined and created a black cinema against the conventions of Hollywood and Blaxploitation films by attending to the quiet moments of everyday life in their communities, and paying homage to the dignity of their characters. Spirits of Rebellion will address a series of questions about what we might learn from the LA Rebellion today. As is often the case, the moniker LA Rebellion was one conceived not by the filmmakers themselves, but by critics trying to name a group of films, in retrospect, that shared a common spirit. Nonetheless, the sense of community fostered by overlapping hopes for social and political change, and the collaborative work process that the filmmakers developed continues to connect them to one another, while informing the lives of those who chose not to pursue a career in film production. Through intimate interviews with the filmmakers, archival research, and discussions with younger black artists, Spirits of Rebellion inquires into the future of a media-based social movement that started in the 1960s. How do the filmmakers assess the successes and failures of their efforts to create alternative cinematic forms for political ends? In what ways do they see their films expressing these aims? 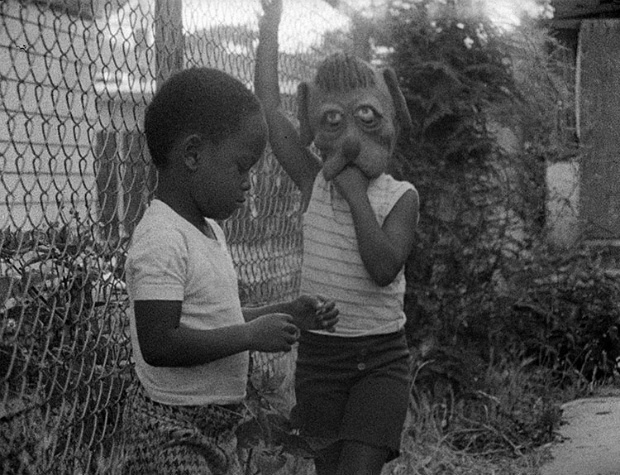 Where and how does the spirit of this movement manifest itself today, and what kinds of work practices innovated through the LA Rebellion might inform the principles of marginalized cinema collectives of the future? What are the long-term impacts of the public programs that enabled these filmmakers to access the resources to make films as students, and how should these insights inform future policies for funding the production of art and culture?